Los Angeles incarcerates more people than any other city in the world, at a fiscal cost of more than $75,000 per person annually. 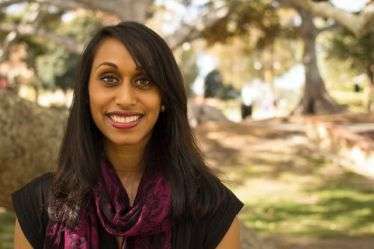 But University of California, Riverside sociologist Susila Gurusami said incarceration also has high social costs that disproportionately burden black communities in areas like South Los Angeles. "Considering population numbers, black women are overrepresented in the American prison system," said Gurusami, a UC Chancellor's Postdoctoral Fellow who spent 18 months at a South LA reentry home for formerly incarcerated, primarily black women. Nationally, black women are imprisoned at nearly double the rate of white women. Gurusami's findings, published in the journal Gender & Society, highlight the challenges confronted by black women after they leave prison, which include navigating post-release employment requirements. Per Gurusami, post-release employment must meet three conditions to fulfill requirements enforced by parole officers and other state agents. "It should be reliable, in that it must produce consistent, long-term financial benefits, and therefore cannot be contract or insecure work; recognizable, in that it must be legible to state actors as employment in a conventional workplace setting; and redemptive, in that it must be perceived as contributing to the broader public good," she wrote. "The women I met were released with a lot of hope about the possibilities of their lives," Gurusami said. "A lot of them were trying to earn degrees while working or looking for jobs, plus attending mandatory support groups for things like anger management and life skills that often ended up getting in the way of them getting hired." "Just taking public transportation from South LA to West LA, where many jobs in LA can be found, is exhausting," she said. "I made the trip as a field work exercise, and it took more than seven hours to travel both ways." Many of the women Gurusami encountered also expressed discomfort with current technology and worried about gaps in their work histories. "How can we expect a woman to get a full-time job with health benefits when she has been out of the workforce for years?" she asked. "Even if she has specialized work experience from her time in prison, she can't exactly put it on a resume." The cumulative effect of these women's experiences is best described by a concept Gurusami calls "intersectional capitalism." The concept refers to the way different forces—capitalism, patriarchy and systemic racism—converge to produce groups of people who are more vulnerable than others, thus creating and perpetuating social and economic inequalities. According to Gurusami, black women historically have grappled with a long tradition of hurdles, from enslavement to the Ronald Reagan-era stereotype of the "welfare queen," which Gurusami said have sought to devalue them as human beings through their relationship to the labor market. In her view, post-release employment requirements serve as a form of moral policing that equates economic success with criminal rehabilitation. "Mentoring other women and people who had come out of the incarceration system, going door to door to campaign for politicians, and learning how to advocate for themselves became powerful ways for these women to combat what typically becomes a cycle of reincarceration," she said. "Still, to release someone from the prison system with few resources and high expectations of meeting rigid requirements is not the way to build a more functional society."